The tortoise is the longest living animal on earth. In captivity they have lived up to 177 years. Even they don't have a chance of getting Green Bay Packers season tickets. 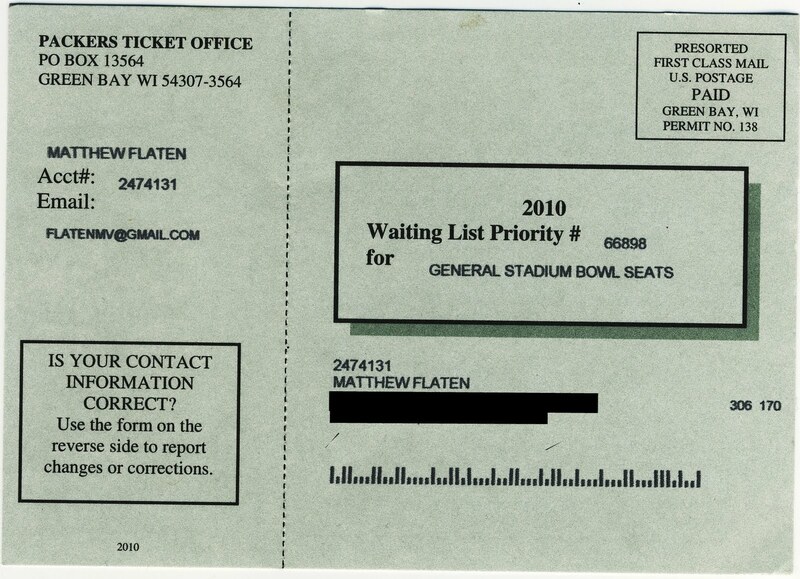 I added my name to the Packer Season ticket list about four years ago and each year you receive a post card from the team letting you know how many people are still in line ahead of you...and when looking at these numbers it's important to remember that Lambeau Field holds about 73,000 people. Overall, I've moved up 2,295 places since signing up but each year the number I've moved up gets smaller and smaller. If the rate of 440 places continues it would be my turn in about 152 years which would make me a spry 183. I would have passed the longest living animal on earth by six years! I was sort of shocked that I only moved up 400 some places this year and each year it is becoming more and more clear that this quest is going to become generational...odd words for someone who is 31. But next year I know I'll be eagerly awaiting my postcard so I'm facing with what I'm calling The Infante Dilemma. I'm left with the short term desire for the Packers to win each week and win a 13th championship. But my long term quest to live to have Packers season tickets may never happen unless we return to the nightmare years of the mid to late 80's. What's a boy to do? I hear ya. Back in my college days, I'd take the El to Wrigley after school and buy the cheapest ticket. I'd sit in the upper deck for a few innings, but would always end up in the 1st base box section by midgame. Sometimes, they'd close off the whole upper deck before game time. I saw more games Then they won the division in 1984 and I couldn't buy a seat anymore.